Rediff.com » Business » Counterfeit tales. Don't buy a fake online! Counterfeit tales. Don't buy a fake online! Fighting fake brand peddlers: How the complex web of counterfeit goods threatens to trip e-commerce giants in the country. 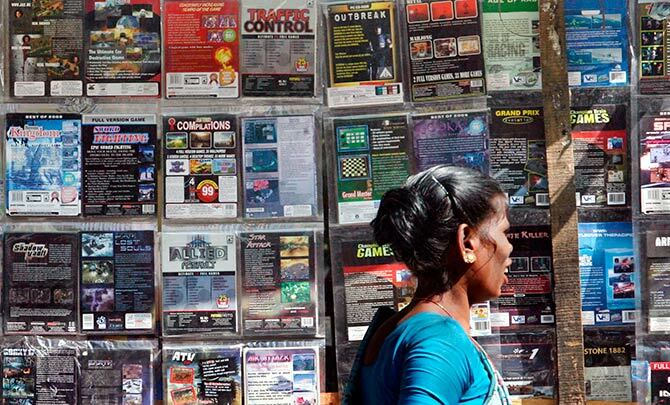 IMAGE: Pirated DVDs and software like this at a streetside hawker's shop in Mumbai is available nearly anywhere. Photograph: Arko Datta/Reuters. Last month, when global footwear brand Skechers filed a case against Flipkart, and four sellers on its platform, for fake goods being sold under its label, it cracked open the lid on one of the most persistent problems in Indian e-commerce. IMAGE: Fake designer men's briefs. Photograph: Courtesy, Michal Hvorecky/Wikimedia Commons. From footwear to branded apparel, beauty and personal care products, alcohol and perfume, big brands have been going head to head with online marketplaces over fakes on their platforms. With brands threatening to pull out, the e-commerce giants have said that they are determined to weed out the counterfeiters and are doing everything to counter the menace. The problem of fakes impacts customers, companies and the online sellers. It has become too big to ignore. Indian retail merchants experience high fraud rates of as much as five per cent of total Gross Merchandise Value, according to a report by Experian Credit Bureau in 2017. Image used for representational purpose only. 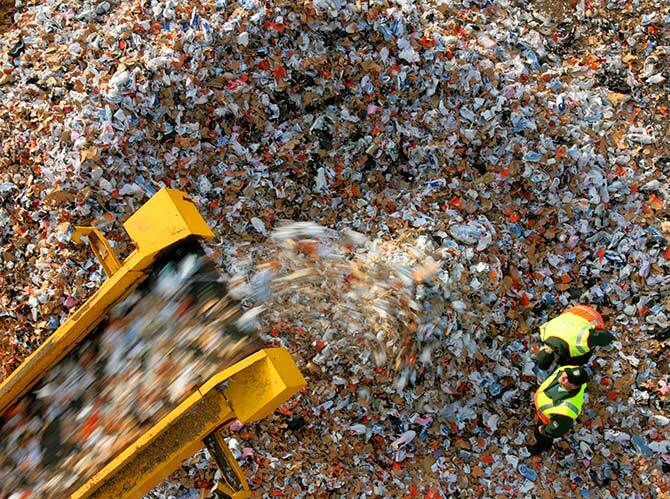 Customs officers shredding counterfeit Nike, Adidas and Puma trainers at the Hamburg harbour. From footwear to branded apparel, beauty and personal care products, alcohol and perfume, big brands have been going head to head with online marketplaces over fakes on their platforms. Photograph: Christian Charisius/Reuters. Fortunately, the report noted, despite a high frequency of fraud incidents, consumers in India are generally more tolerant and willing to accept the occasional fraud involving minor monetary losses if given assurance of non-recurrence. Companies however are not as patient. Recently German shoemaker Birkenstock took legal action after it was exasperated with Google redirecting consumer traffic to Amazon which stocks a number of brands with similar names like ‘Brikenstock’, “Bierkenstock” and “Birkenstok”, reported Reuters. The German company parted ways with Amazon’s US and Europe services in protest. 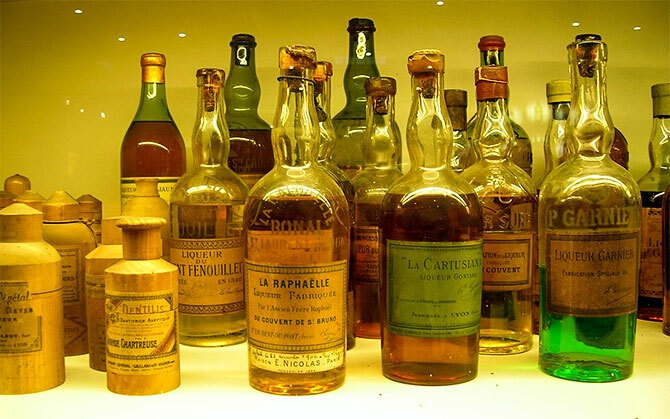 IMAGE: Bottles of fake French Chartreuse liqueur at their cellars at Voiron, Isère, France. Liquor is also commonly counterfeited and it is very difficult to distinguish a real bottle from a fake. Photograph: Courtesy, TwoWings/Wikimedia Commons. According to a report in the American Journal of Transportation last month, footwear is the most commonly faked product across the $ 461 billion industry of pirated and fake goods, but by no means is it the only industry under the scanner. According to a report by KPMG and Ficci, titled Illicit Trade: Fueling terror financing and organised crime, counterfeiting, smuggling and piracy are highly pervasive across countries and sectors, representing a multi-billion-dollar industry that continues to grow and impact commerce and society at large. It estimates that by 2022, the value of counterfeit and pirated goods will be around $1.90 to $2.81 trillion. The report also pins a big part of the blame for fakes on the Internet “because of its apparent anonymity, its ability to operate across different jurisdictions and its potential to present sophisticated replicas in seemingly official online boutiques”. 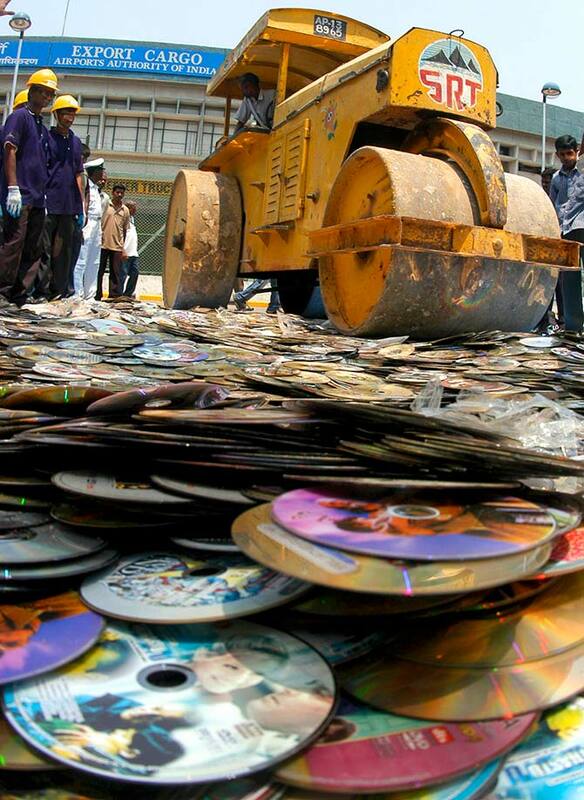 IMAGE: Customs officials destroy about 35,000 pirated film DVDs confiscated at Chennai airport. It is estimated by 2022, the value of counterfeit and pirated goods globally will be around $1.90 to $2.81 trillion. Photograph: Babu/Reuters. He adds that e-commerce platforms walk a very thin line as they are caught between increasing the enrollment of sellers on the platform and conducting a more stringent scrutiny of their credentials. E-tailers want to provide maximum choice for all the categories on display and attract as many sellers as possible on their platforms. The United States Trade Representative has already placed India along with China, Russia, Thailand, Ukraine, Kuwait, Argentina, Chile and Venezuela on a priority watch list for notorious markets of counterfeit products. The global counterfeit import industry is worth nearly half a trillion dollars a year, or around 2.5 per cent of global imports according to a report by the Organization for Economic Cooperation and Development and the EU’s Intellectual Property Office. American, French and Italian brands are the worst hit by global counterfeit trade. 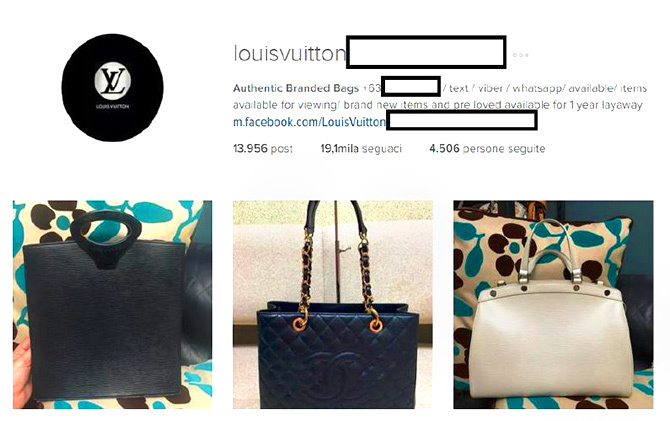 IMAGE: Instagram spambots feature sites selling counterfeit luxury items of different brands. Photograph: Courtesy, Andrea Stroppa, Daniele di Stefano and Bernardo Parrella/Wikimedia Commons. “We remove suspected counterfeit items as soon as we become aware of them, and we suspend or block bad actors suspected of engaging in illegal behaviour or infringing others’ intellectual property rights. We have taken independent legal action against bad actors, and will continue to do so,” said an Amazon India spokesperson. Amazon and Flipkart are keen to dispel any doubt about their ability to crack down on fakes. They have worked hard to win the trust of Indian consumers. The spokesperson for Amazon added that they work closely with rights owners to strengthen protections for their brands and with law enforcement when presented with valid legal process. Technology giant Google has put out a statement that says it has undertaken a massive campaign to clean out advertisements that directed users to fake pharma peddlers and phishing websites. Advertising veteran Sandeep Goyal believes that brands are quite crippled when it comes to identifying dubious sellers themselves as one can never know how far and long a product might have travelled after it was initially sold. Goyal calls for a strong sensitisation campaign across social media as well as media voices to call out the trouble-making platforms. Some lessons could be drawn from Alibaba’s experience with fakes; the Chinese behemoth fought counterfeiters for years and only in 2011 was it unlisted from USTR’s notorious markets list. IMAGE: According to a report in the American Journal of Transportation, footwear is the most commonly faked product across the $ 461 billion industry of pirated and fake goods, but by no means is it the only industry under the scanner. Photograph: Arko Datta/Reuters. Counterfeit goods aren’t the only problem brands face. Often, third-party sellers source phased out products from one market or region and sell them in another without the knowledge of the original company. “This is especially common for electronics and apparel where out-of-fashion or old stock is recycled from one market to another,” said Narula. Such behaviour too damages customer trust. “When one buys from a nondescript online platform, there is a certain risk. However, when consumers go to well established e-commerce platforms, they expect a level of service. And e-tailers cannot wash their hands off and say that a third party seller was responsible for fake products,” said Goyal. If the retailers and companies do not take the fight against counterfeit more seriously, fake brands could end up doing some real damage. IMAGES: Is your brand a fake yet?